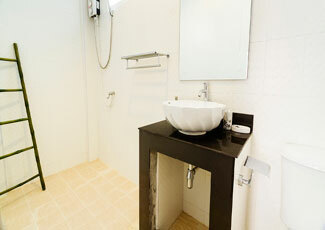 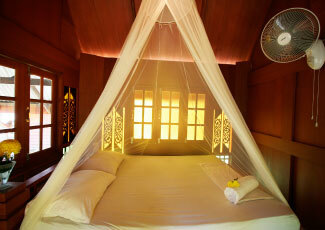 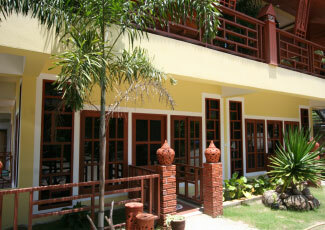 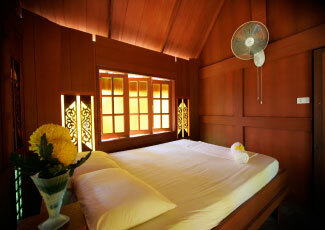 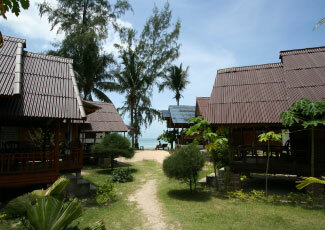 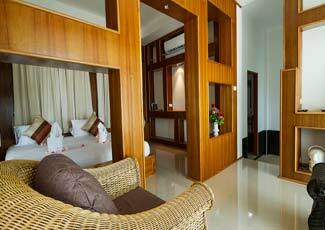 Hut sun Bungalows is located on Chao Phao Beach, the west side of Phangan Island. 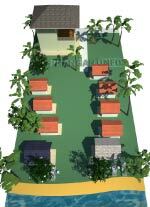 There are 11 bungalows altogether offering many kinds of bungalows for your choice. 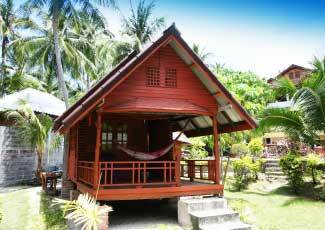 Hut Sun is a family run bungalows which give you friendly atmosphere. 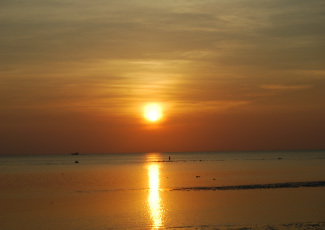 The fantastic sunset view can be seen clearly from the resort.You can lie down at the beach front space provided and appreciate the nice scenery here. 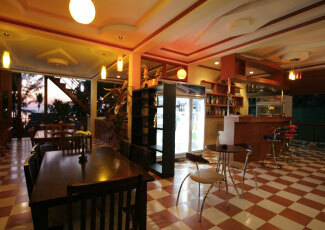 "Take it easy and enjoy moment here". 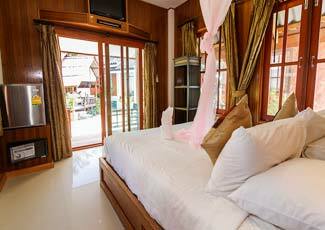 Ao Chao Phao is one of the reasons the west became so popular in the early days due to its beautiful sunset views and softly curved bay that is the image of paradise. 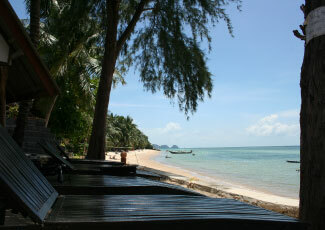 Here the coast forms into idyllic coves that are flanked by huge rounded volcanic rocky points. 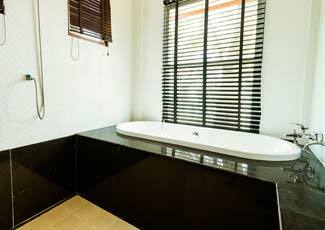 The sand is golden white and fine and the sea shelf is steeper before the reef, thus it is possible to swim all year, whatever the tidal conditions. 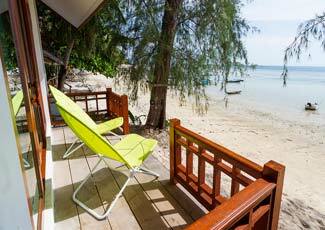 The reef is about 100 metres from the beach and once crossed the rich coral and vibrant sea life are an attraction for many divers and snorkellers. 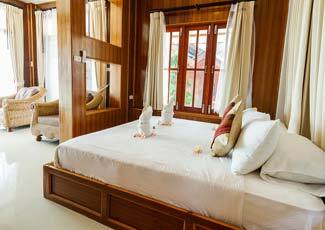 The pace of development has been slow and tasteful on Ao Chao Phao, and it retains the peaceful beauty and laid back vibe that drew the first island explorers here, then made them return year after year. 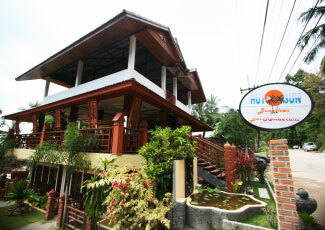 Besides, at Hut sun Bungalow, there is Bar and restaurant served Thai and International dishes with great music.